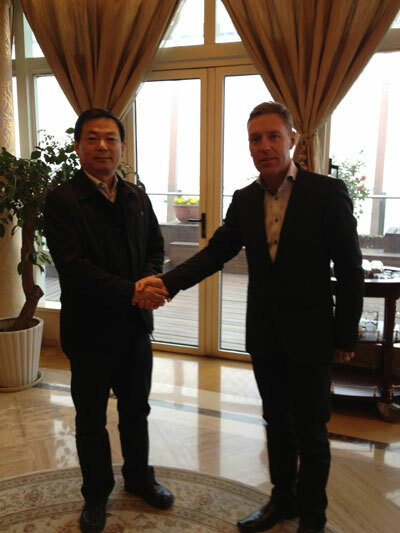 A delegation from MuoviTech has been in China, invited by local governments that are investing in geothermal energy. The delegation was represented by several European MuoviTech companies. China is a society of great change with huge demands for the introduction of alternative energy solutions. One of these existing techniques is geothermal energy. For example, an energy stock provided the last World Expo in Shanghai with both cooling and heating. Number of drilled holes was 6000. MuoviTech has been active in China for many years and follow developments with interest. "We are proud to bring with us the positive response, over MuoviTechs technology knowledge in geothermal energy, from the local representatives" says Juha Ojala, CEO of MuoviTech group.